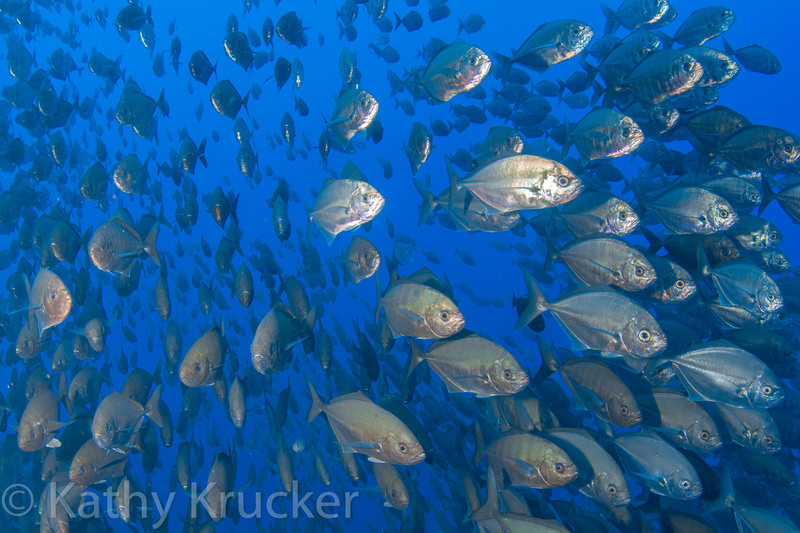 Big critters in the deep blue are what Socorro diving is all about! 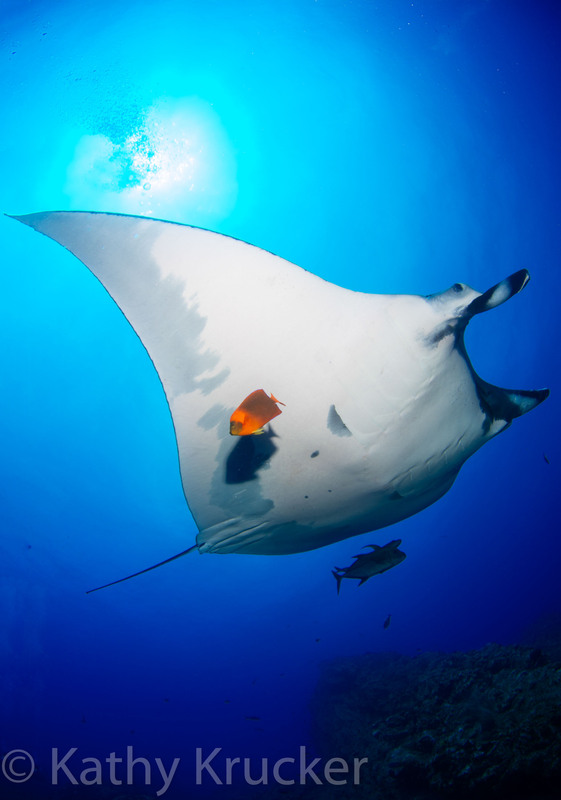 Magnificent mantas, sharks, dolphins, and massive fish balls await divers who take on the lengthy 250-mile journey to the islands – about 28+ hours each way! If you are up to the challenges of this long jaunt and are willing to deal with a few challenging currents, this trip is a must! 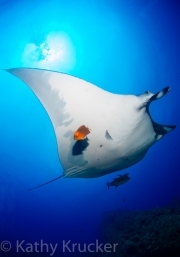 The inner and outer islands – known as the Socorro Islands – are actually the Revillagigedo Islands and are part of the Revillagigedo Archipelago. This unique ecosystem is under Mexican jurisdiction and was declared a protected marine reserve by the Mexican government in 2017 and a UNESCO World Heritage site in 2016. After flying to Cabo San Lucas, Mexico (San Jose Del Cabo Airport) and an overnight stay, we boarded Solmar V in the Marina Cabo San Lucas and departed in the late afternoon. The Solomar V is a 112-foot classic liveaboard with a crew of 11 who took great care of us 18 divers. The cabins were a little on the small side, but who stays in their cabin? Chef Tony created excellent meals, snacks, and beverages on demand after our day of diving. There was ample space on the camera table, the lounge/dining area was spacious and roomy for dining, working on photo downloads, or just socializing. Our tanks were filled and loaded onto our zodiacs for each dive. Rodrigo was our masterful dive guide and Luis was our vigilant zodiac driver – he found all of us every time even thought some of us drifted with the currents. After a couple of check out dives at Las Cuevas and Cañon off of San Benedicto Island, the Solmar V headed for Roca Partida – literally in the middle of nowhere. In Spanish, Roca Partida literally means, “split rock.” We stayed here for 3 days and saw massive fish balls, Galapagos sharks, schools of tuna, very shy hammerheads, and white tipped sharks who seem to like to stack up on top of each other in the rock ledges of the island. The zodiacs would constantly circle the island to pick us up after each dive. The highlight of this trip was a return to San Benedicto to dive El Boiler. We got in the first early morning dive with dozens of dolphins and had a juvenile whale shark hang with us for 2 days. 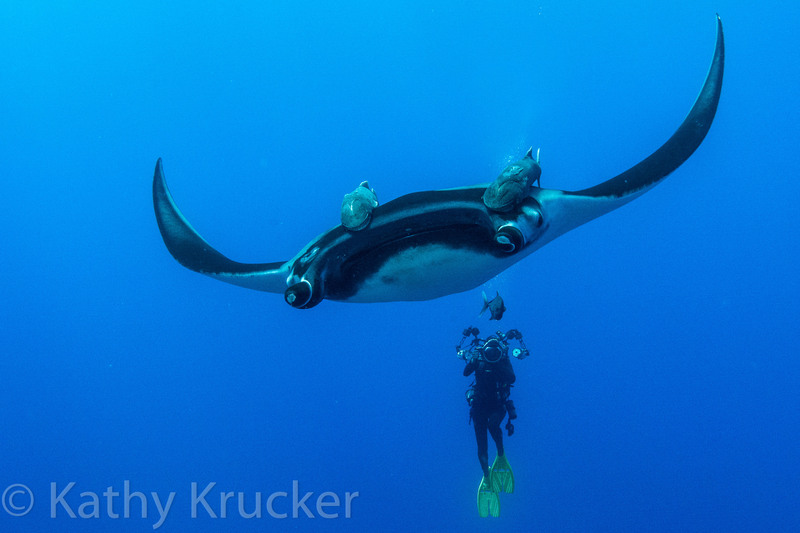 The giant Pacific mantas were more than majestic. 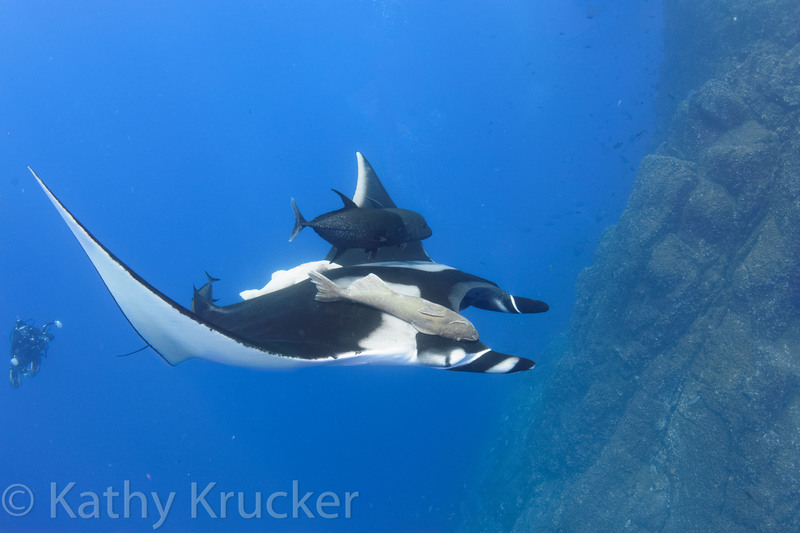 Traveling with their encore of remoras, these giant mantas share a unique symbiotic relationship with the clarion angelfish – unique to the Revillagigedo Islands. The clarions help clean the rays. The Solmar V only books trips to the Revillagigedos from November through the end of June. Humpbacks come to the islands when the waters are cooler in January, February, and March. 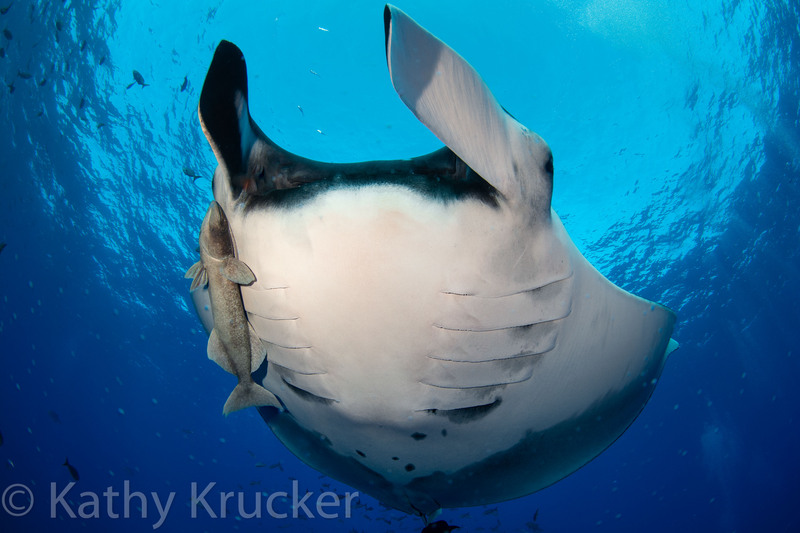 For more information about unique underwater photos trips, check out Backscatter.